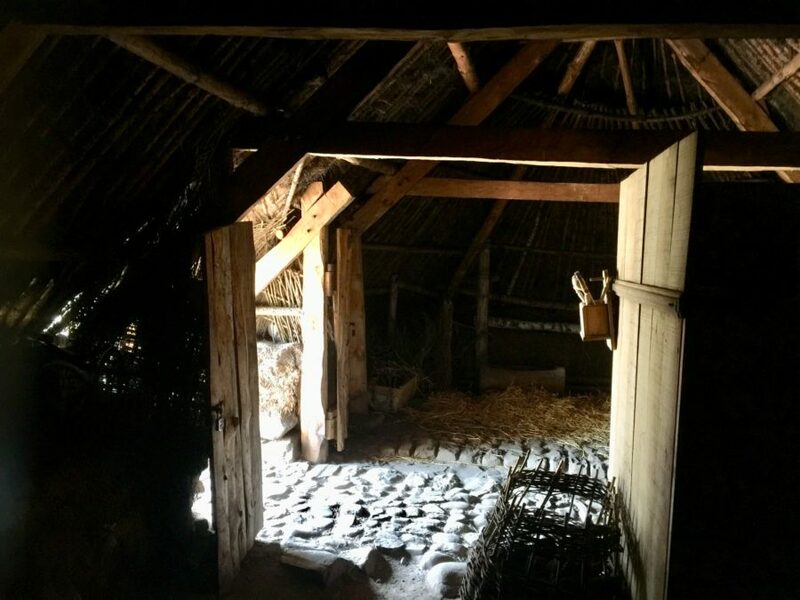 Highland Folk Museum played an important role in filming Outlander Season 1. 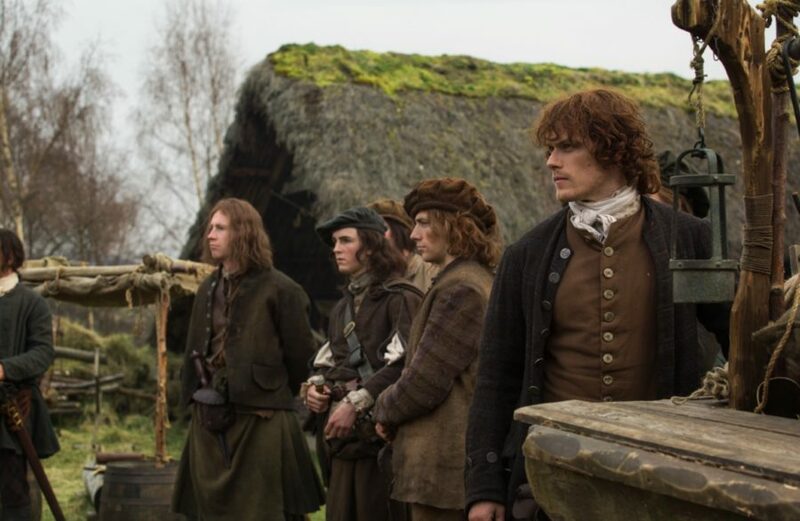 We take you for a behind-the-scenes look in our periodic Seeing Outlander series. 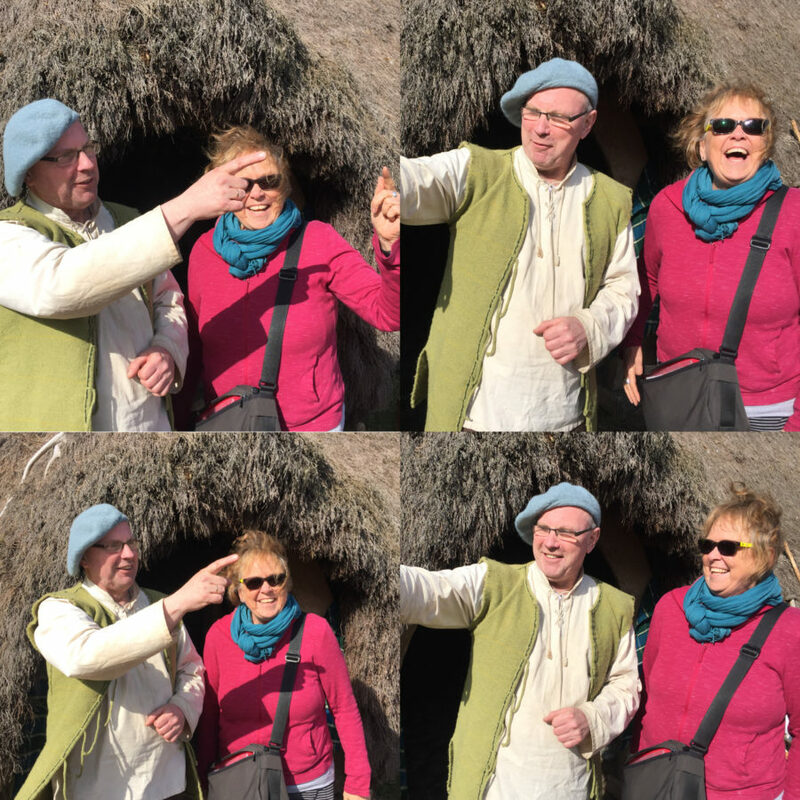 So, what do you do when your Aussie BFF turns up in Scotland for a tour of the Highlands? 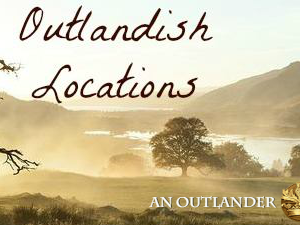 Well, surely you can squeeze (sneak) in a smattering of Outlander locations! Yep, that’s what I did and my travel buddy, Judy, was pretty happy with that. 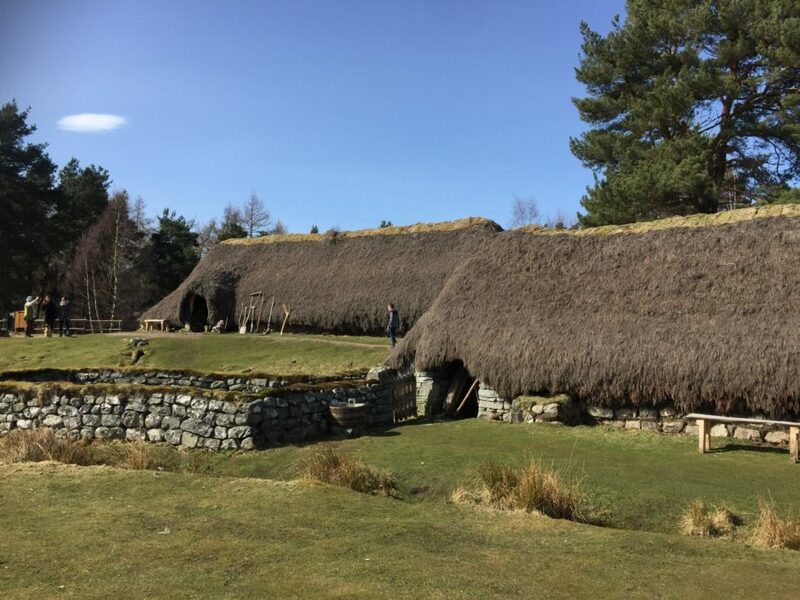 One really great, and highly recommended stop was the Highland Folk Museum at Newtonmore on the edge of the spectacular Cairngorms National Park in the Scottish Highlands. 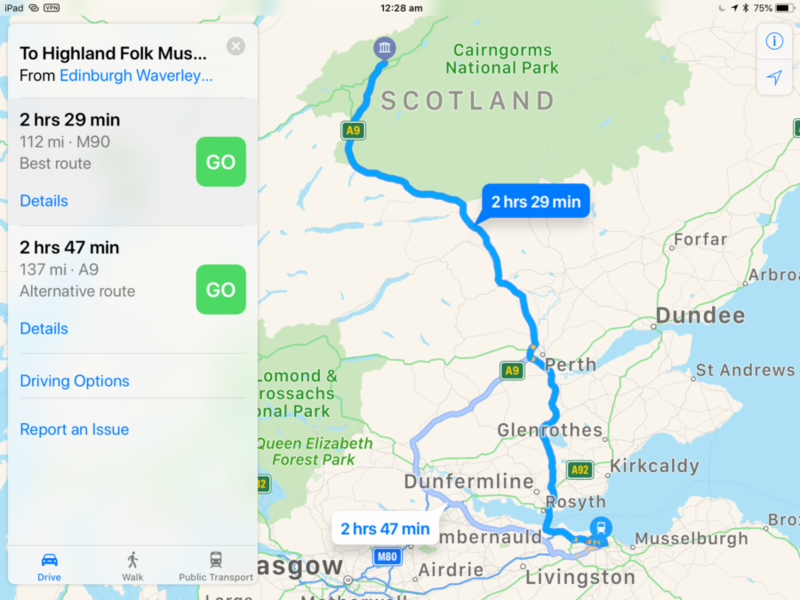 If you’re heading there (yes, do!) 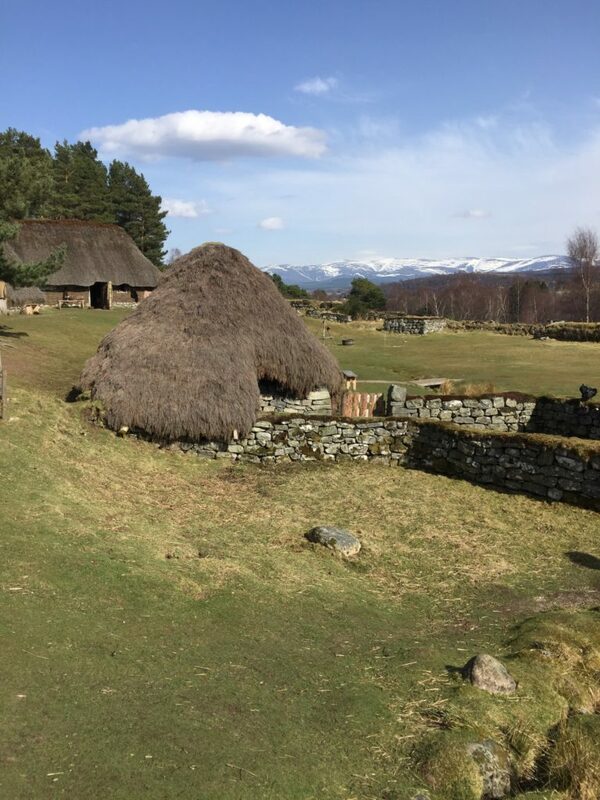 make sure you allow plenty of time for stops on the way, including the charming village of Pitlochry. 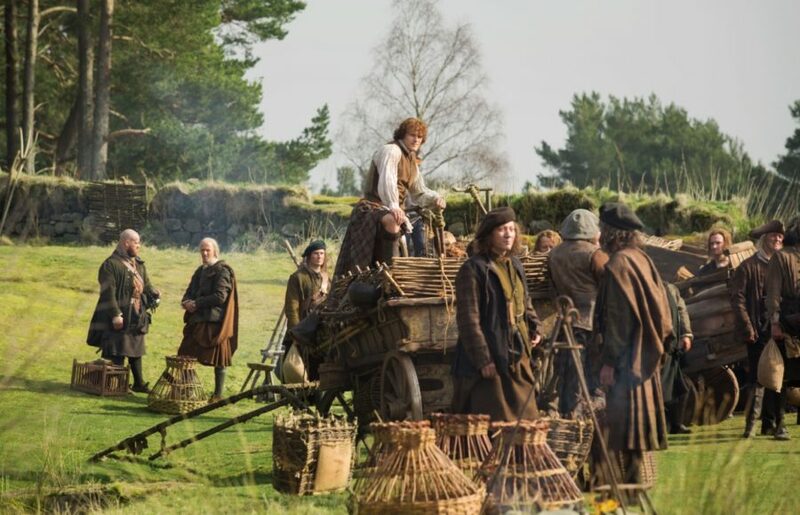 Book readers will know this as the site of one of the hydro-electric schemes where Bree ultimately works, and all sorts of adventures, dramas and hijinks ensue! 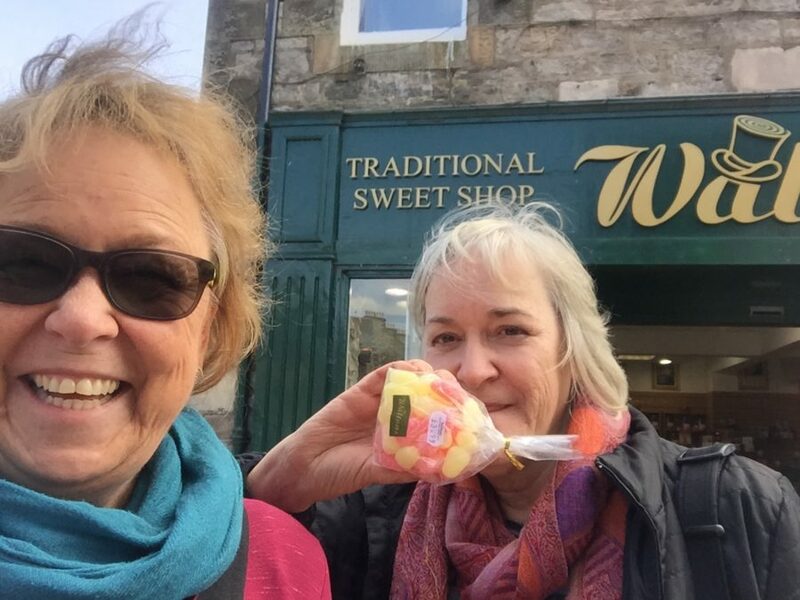 Stopping at Pitlochry can be very sweet There are these things called ‘Pear Drops’! 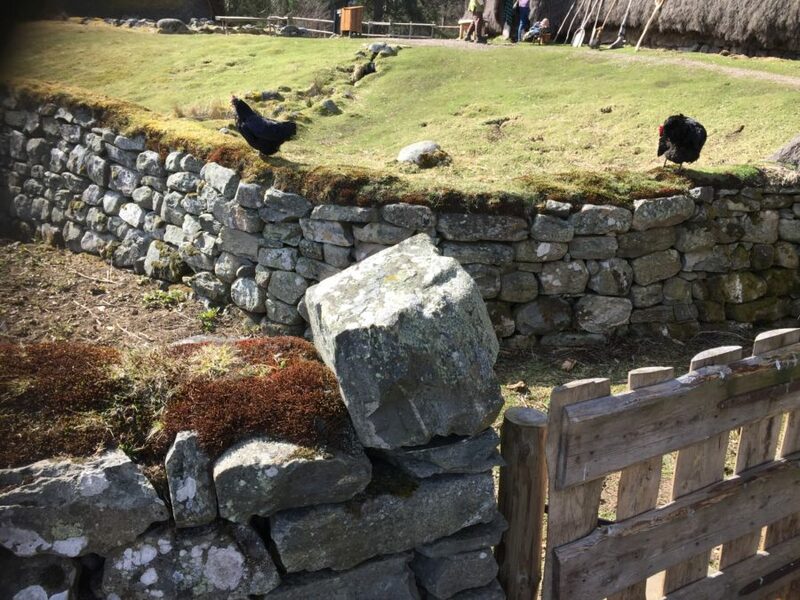 The Highland Folk Museum has collections that reflect the way of life in the Scottish Highlands from the 1700s right up to the mid-1900s. It is a huge and fascinating place where you could spend many an hour. 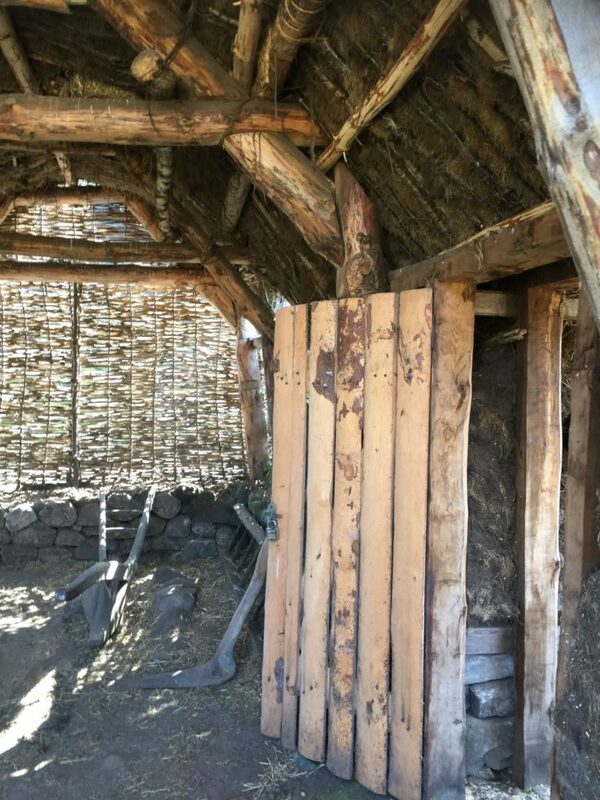 Entrance is free, but they do ask for donations to keep this wonderful place up and running. The big car park is really close to the gates, the pathways are fairly flat and easily accessible — not paved but a good surface. 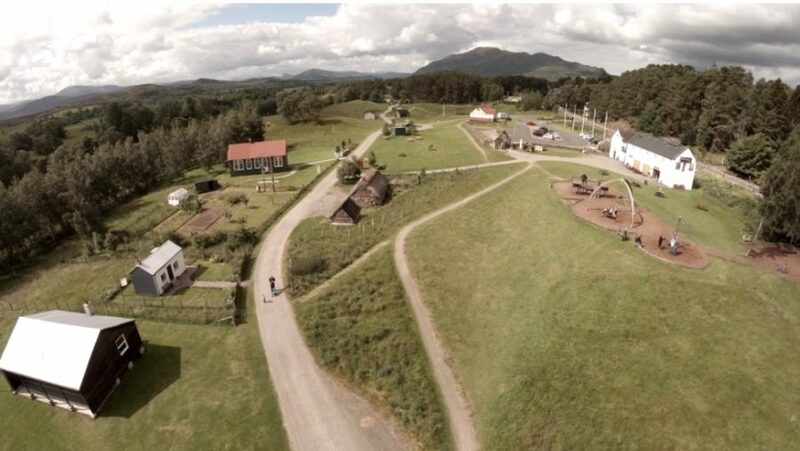 There is also a big children’s playground, a shop and a café. What more could you want? 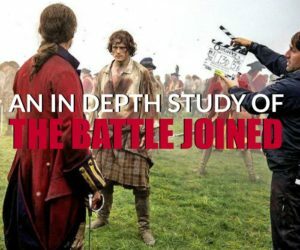 Well, if you’re an Outlander buff there is a whole lot more! 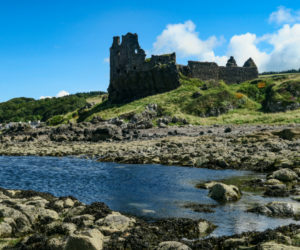 It’s only a 10-minute walk from the main entrance to the Highland village where the Season 1 Outlander episode “Rent” was filmed. 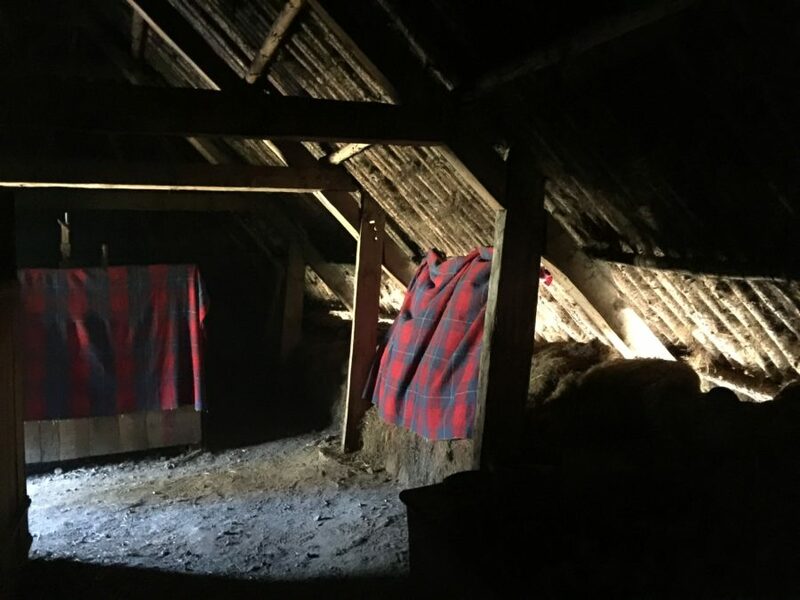 And as you enter that place you are transported back to those familiar and beloved scenes. 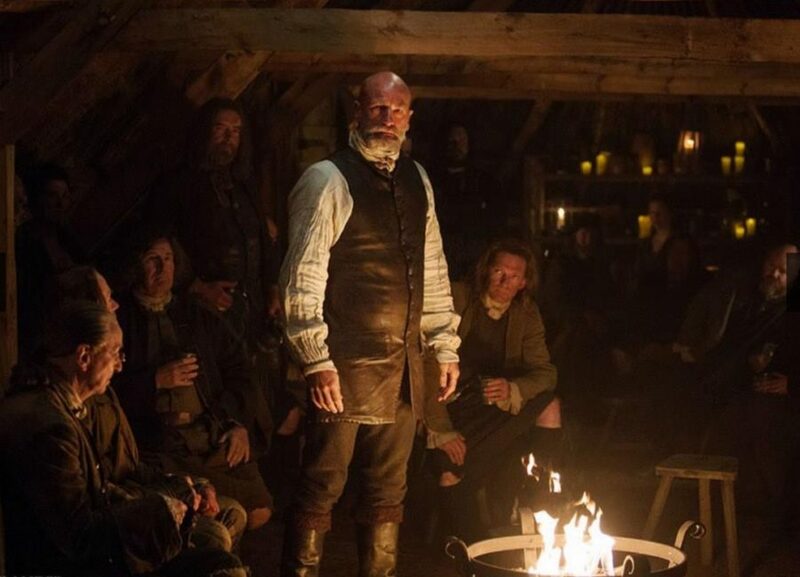 Waulking the wool, the “tipple,” the rent collecting, Claire fighting with Rupert over the goat, and our first encounter with Lieutenant Jeremy Foster (who shed a tear when he met a gruesome end at the hands of Dougal Mackenzie?) are just a few of the moments you can relive while wandering the grounds. 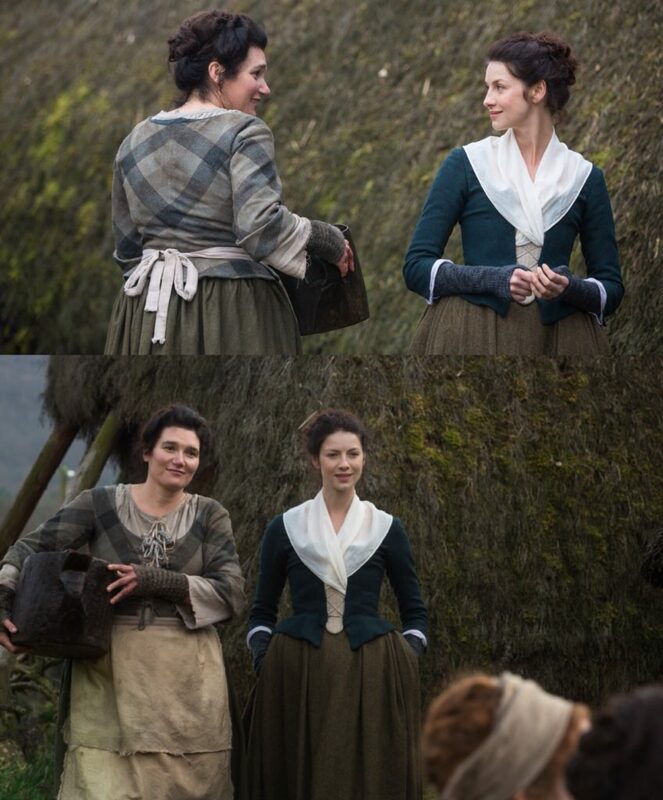 The place where Claire chatted with Donalda Gilchrist and friends. Geronimo! 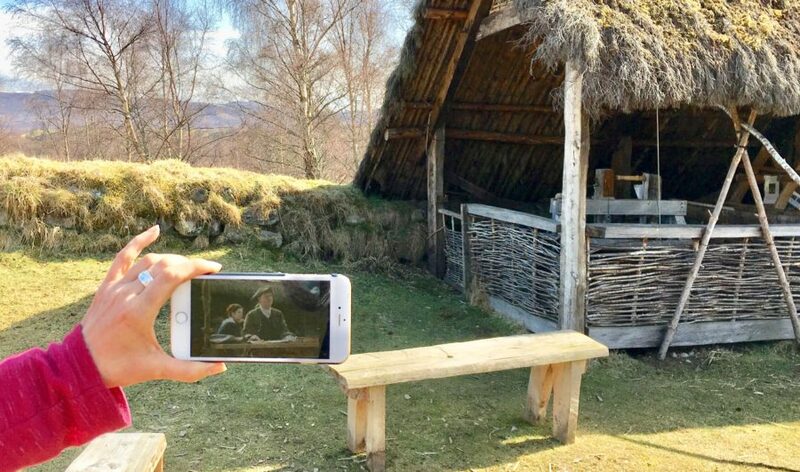 As you explore further, you realise that the interior scenes, Dougal’s speech and tearing Jamie’s shirt off, were also filmed inside one of the buildings. Your luck will be in when you come across one of the guides at the site. 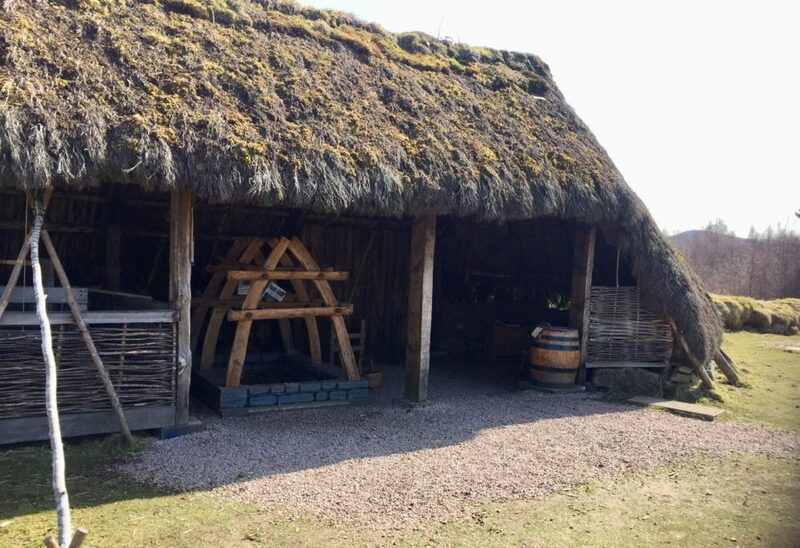 We teamed up with Jim, who was incredibly knowledgeable not only about village life and Scottish history but also about the Outlander filming. He was also great fun, full of energy and quite hilarious! Snow-capped mountains in the distance – you might want to explore those! 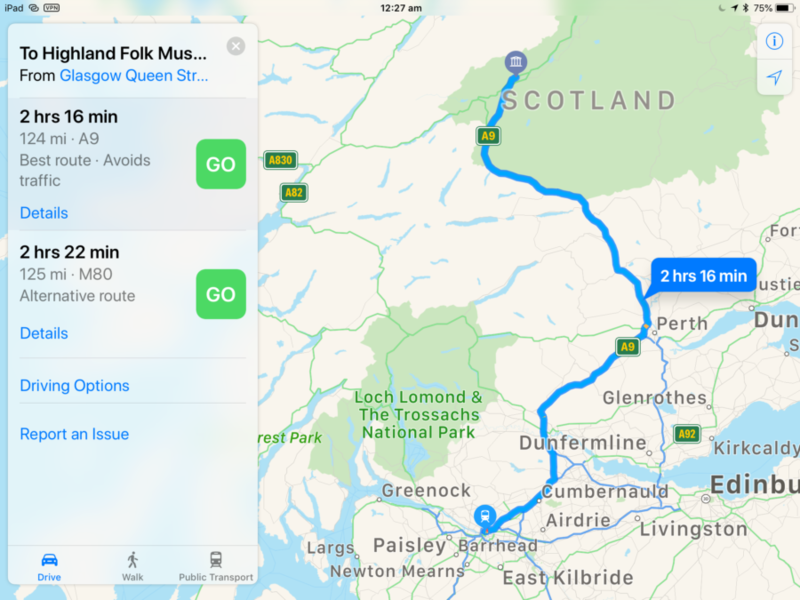 Here are some maps as a guide to get there from either Glasgow or Edinburgh. It’s roughly a two-and-a-half hour trip either way, but be warned — you will be driving through some of the most spectacular scenery on earth, so you’re bound to want to stop, get out, breathe the crisp air and take a picture or two. 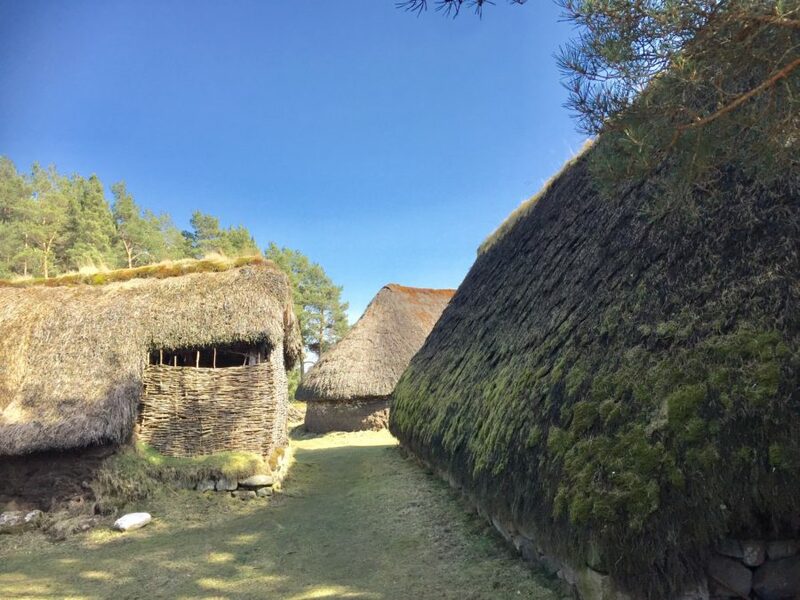 And, if you have time, you might want to explore the Cairngorms area, which includes everything from rugged mountains and forests to all grades of walks, scenic railways and the village of Aviemore. All types of accommodation are available from cabins to luxury hotels. Maps as a guide from Edinburgh, above and Glasgow, below. 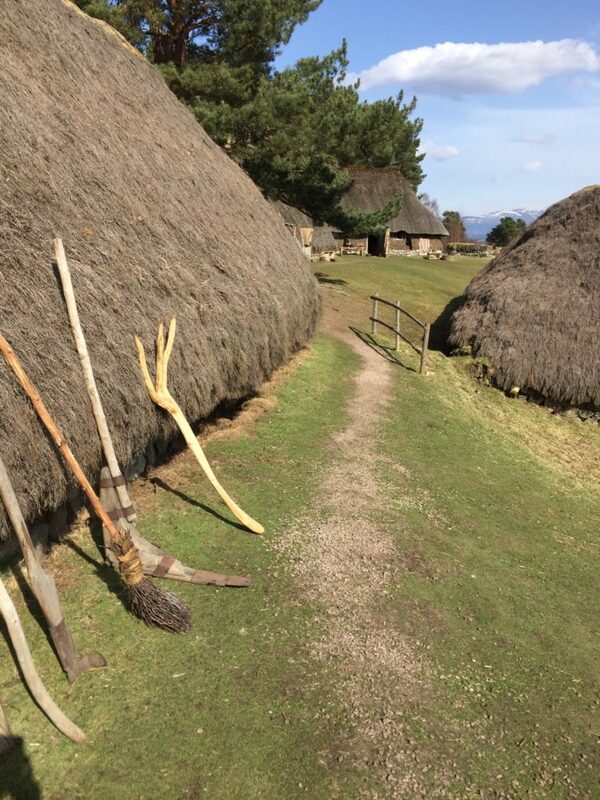 NOTE; as with many Scottish attractions, the Highland Museum is closed from October 31st until March 28th. 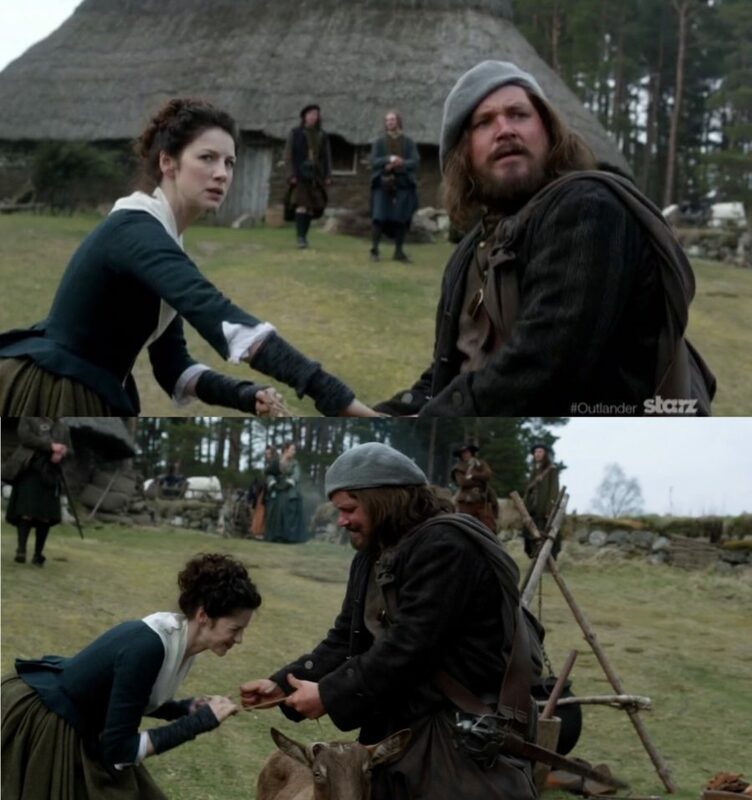 Have a wonderful time (I know you will) and say hello to Jim for me! 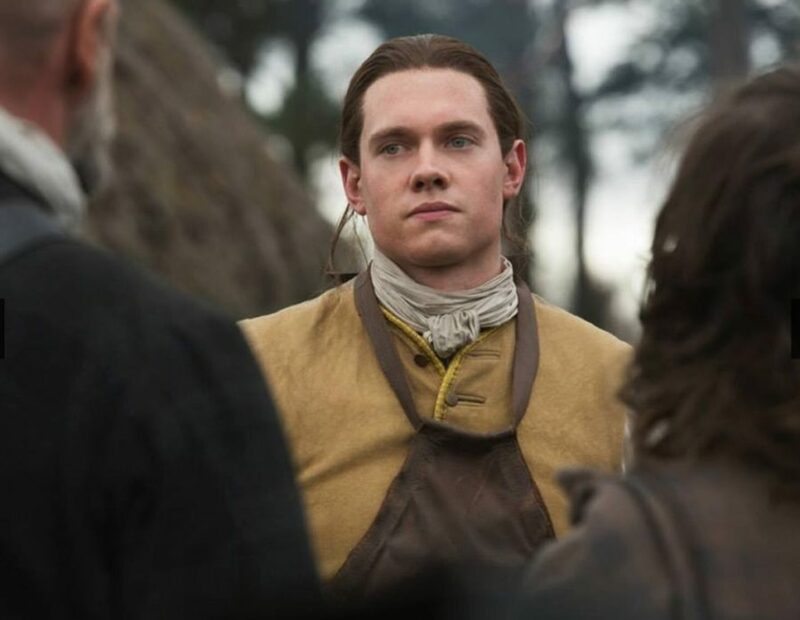 Missed our first Seeing Outlander article? 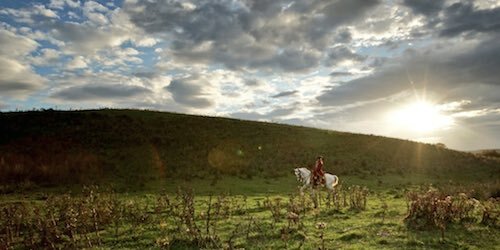 Read our story on Roslin Glen Country Park where parts of “The Reckoning” were filmed.